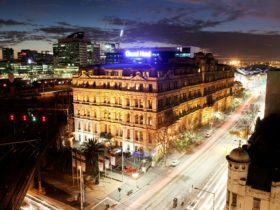 Oaks on William is one of Melbourne’s newest hotels, ideally located at the bustling edge of the dynamic business district and opposite the historic Flagstaff Gardens. The property features 269 stylishly appointed studio, one and two bedroom apartments, all boasting a full kitchen, host of modern appliances, air-conditioning, broadband and wireless internet access. There are private balconies with some rooms with views over Flagstaff Gardens, the city skyline and famed laneways. With a choice of Studio, Studio Park, Studio View, Studio Park Deluxe, One and Two Bedroom Apartments, the accommodation will suit both the business and leisure traveller alike. 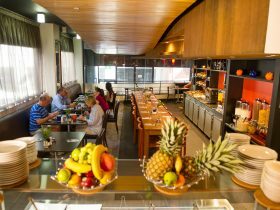 Guests will also enjoy the use of a large fully equipped gymnasium, lobby cafe and bar, on-site car-parking and business services. 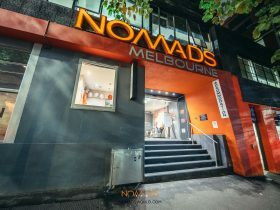 With public transport literally at the front door or within a very short walk, accessibility to the many tourist attractions, conference, event and sporting venues, as well as many of Melbourne’s iconic precincts. Need a larger balcony? 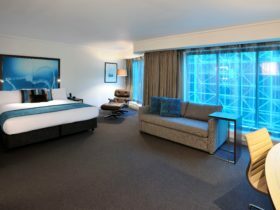 The Studio Park Deluxe rooms offer spectacular views overlooking Flagstaff Gardens all from the comfort of your oversize city balcony, all rooms offer full kitchen facilities and small dining area. The room caters for a maximum of two adults, and a maximum of one child but cannot exceed two guests in total. Rates are for two guests. Includes 30 minutes continuous use of free internet per day. Oaks on William’s stylish studio park apartments boast stunning views over the iconic Flagstaff Gardens from the comfort of a private balcony. Each apartment features a king bed, full kitchen facilities with dining table, wireless internet access, flat screen television with cable channels and air-conditioning. Larger bathrooms with disabled amenities. Contemporary in design, the studio apartments offer full kitchen facilities and private balcony overlooking Singers Lane, LCD television with cable channels and air-conditioning. Each studio also provides Wi-Fi internet access (fee applies). The room caters for a maximum of two adults and a maximum of one child but cannot exceed two guests in total. Rates are for two guests. Includes 30 minutes continuous use of free internet per day. 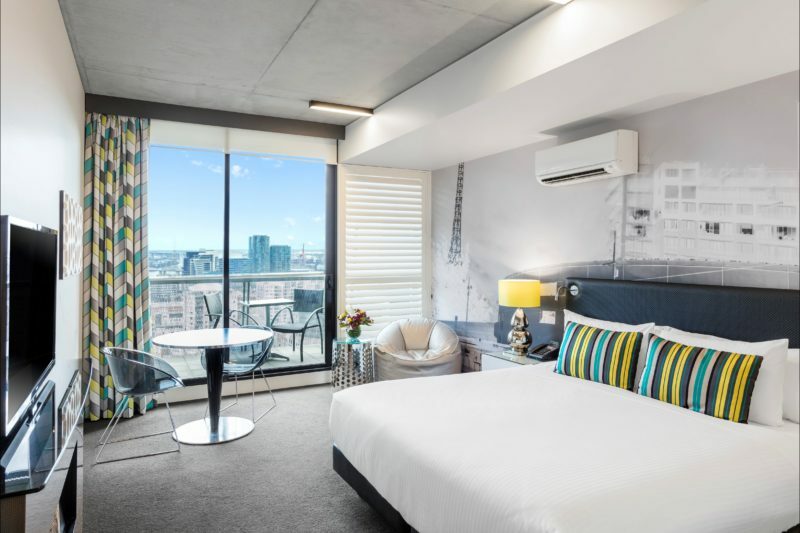 The studio view rooms offer views over the city’s skyline from the comfort of your private balcony together with full kitchen facilities and small dining area. Oaks on William’s contemporary studio apartments feature modern décor, king bed and private balcony as well as full kitchen facilities, flat screen television, wireless access and air-conditioning. 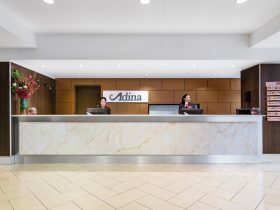 The property’s leisure facilities include an on-site gymnasium, laundry and secretarial services for guests’ convenience. Larger bathrooms with disabled amenities. Apartment living at its best, nestled in the most ideal positions of the property, the one bedroom view apartments offer stunning city views, private balcony, full kitchen, laundry facilities, lounge/dining area with separated bedroom, ideal for those who like a little extra space and comfort. The room caters for a maximum of three adults, and a maximum of two children but cannot exceed three guests in total. Rates are for two guests. Extra guests $44 per night. Includes 30 minutes continuous use of free internet per day. 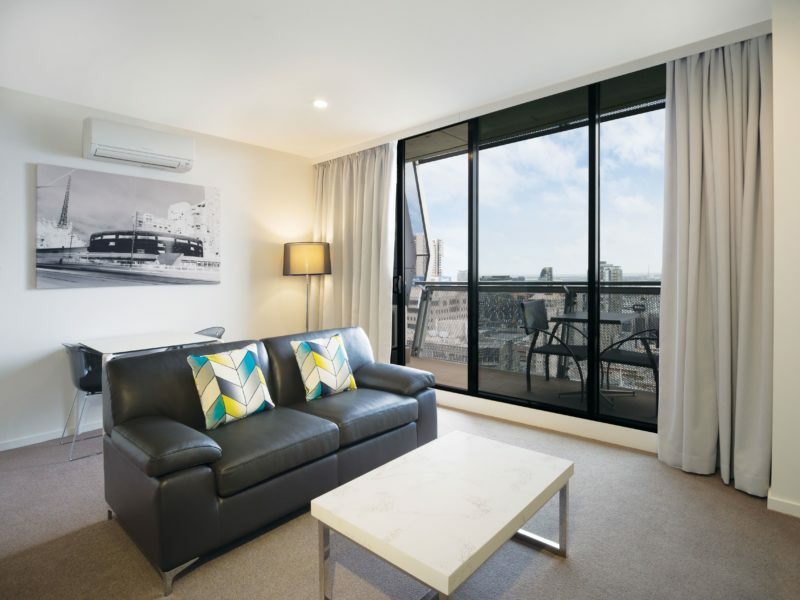 With sweeping views over Flagstaff Gardens, the Studio Park rooms offer light filled rooms and generous sized private balconies. 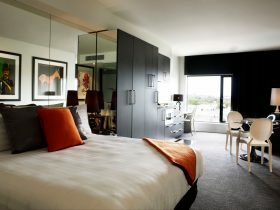 Rooms are modern in design and are equipped with full kitchen facilities and small dining area. The room caters for a maximum of two adults, and a max of one child but cannot exceed two guests in total. Rates are for two guests. Includes 30 minutes continuous use of free internet per day. This is stylish two bedroom apartment living that will leave everyone envious. 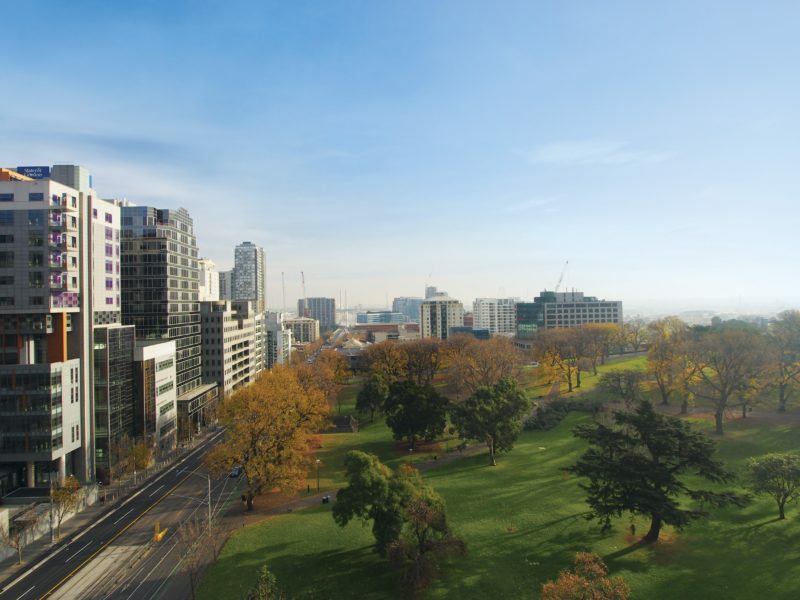 Stunning views over the city or Flagstaff Gardens, the two bedroom apartments have an ensuite and separated bathroom perfect for couples or families. With striking views from your own private balcony, these apartments don’t last. The room caters for a maximum of five adults, and a maximum of four children but cannot exceed five guests in total. Rates are for four guests. Extra guests $44 per night. Includes 30 minutes continuous use of free internet per day.